With a beautiful smile you will feel better physically and mentally. You will also have greater self esteem and more confidence which could improve your performance in every area of life. At Silom Dental Building Clinic, Bangkok Thailand, our Cosmetic Dentists treat the whole person, not just the tooth Whether you are looking to redesign your smile, whiten your teeth, improve your oral health, make a subtle cosmetic enhancement, or obtain general dental care, you've come to the right place. We know that choosing to renovate and/or enhance your smile is an important decision. With such a wide range of procedures available, it can also be a daunting prospect for some people. We offer a supportive, friendly, nurturing environment, where you will feel free to express your every concern, hope, and expectation. Cosmetic Dentistry can help you to look more beautiful and much younger. Our goal is to create a beautiful smile that you deserve. 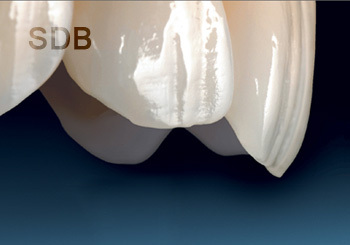 Cosmetic dentistry include Dental inlays, Dental onlays, Dental crowns, Dental veneers, Dental Laser surgery, Laser Tooth Whitening and procedures such as air abrasion and composite bonding, all intended to enhance your existing teeth, replace a cracked or missing tooth, reshape a tooth, and otherwise improve both the function of your teeth as well as your smile.